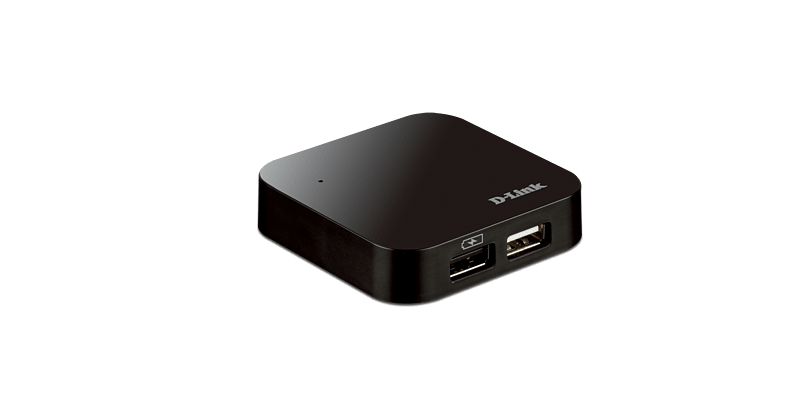 The D-Link 4-Port USB 2.0 Hub provides four additional USB 2.0 ports to your PC or Mac, allowing you to connect USB devices such as digital cameras, external hard drives, flash drives, and printers. The USB fast charging port allows you to quickly charge your iPad, iPhone, tablet, or other power-hungry mobile devices. 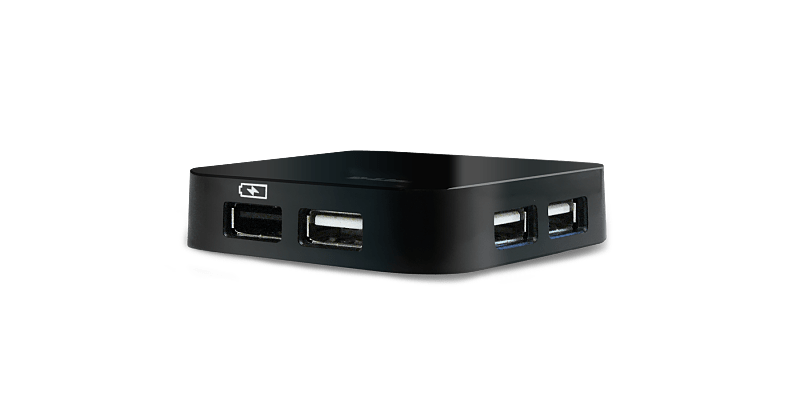 With the D-Link DUB-H4 4-Port USB 2.0 Hub, you can instantly add more USB 2.0 ports to your computer. 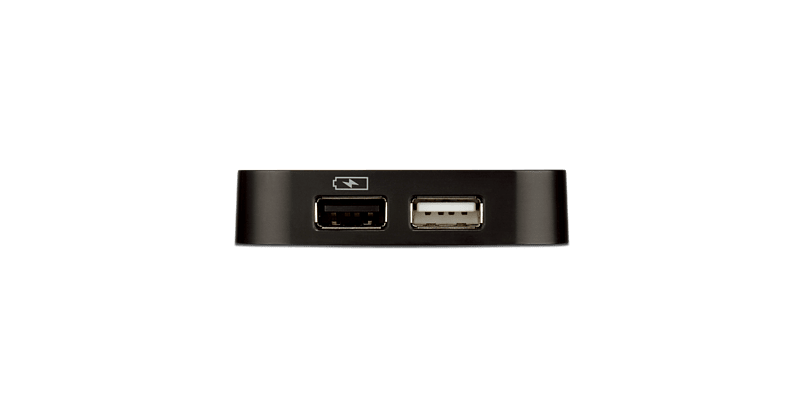 Now you can connect up to four USB peripherals – such as digital cameras, printers, external hard drives, mice, keyboards, flash drives, and tablets – to your laptop or desktop. The DUB-H4 is fully compliant to USB 2.0 specifications with data transfer rates of up to 480 Mbps1. It is an ideal solution for transferring data between your computer and USB devices. The DUB-H4 features a USB fast charging port which is designed to feed high currents of up to 2.0A to a connected device, when the DUB-H4 is connected to a power adapter. It gives you the ability to fast charge power hungry devices2 including iPad®3, iPhone®3, tablets, smart phones, and MP3 players. You can quickly charge your iPad®3 with the USB fast charging port when your computer is off, in suspend mode, or sleep mode and the DUB-H4 will automatically switch from battery charge mode to data sync mode when your computer is back in use. Just connect the DUB-H4 to a power outlet and a USB port on your computer; it’s that simple to add USB 2.0 ports to your computer. 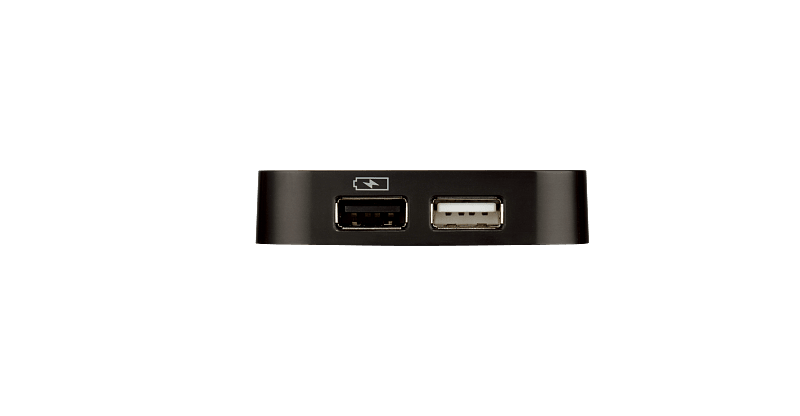 The DUB-H4 is also backward compatible with USB 1.11, ensuring connectivity between your computer and legacy USB devices. If you need more ports, you can connect additional USB hubs to support up to 127 devices.